H. Beecher Hicks in the second chapter of his book Preaching Through a Storm has a sermon entitled How to Silence a Preacher; or, Shut Your Mouth!. Rev. Hicks preached this sermon at the ordination of a new ministry. 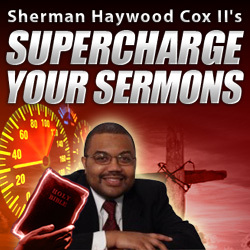 The sermon gives a few ways that a preacher’s mouth can be closed. It is certainly a terrible thing for a preacher’s mouth to be shut. We are called to speak. If the preacher does not speak, who will? In the history of African Americans it has been the preacher who has often been the voice of liberation and salvation. It has been the preacher who has given us a word of hope to make it through the dark days. It has been a preacher who has been the catalyst for movements for change. Certainly, if it had not been for the preacher, we may not have heard the word of our salvation, neither would we have heard the word for our survival or liberation. The preacher must speak, but Hicks provides a few ways that that great voice can be silenced. The first way that the preacher’s voice can be silenced, according to Hicks, is to allow the socio-political economic climate to blunt the preacher’s voice. Certainly today, if one stands up for righteousness one can be seen as attacking the prevailing order. Dr. King was condemned for standing up against the Vietnam war when many questioned why do it? Those few prophetic voices that stood up against the Iraq war when everyone was waving their flags testify that today you will be condemned. Today, if you question America on its racism or even state that it exists presently you can be condemned. Today, if you see structural systems of oppression against the poor and seek to remedy them, you will be condemned. It is easy for a preacher to just shut up and preach smooth things. It is easy to simply say as the old saying goes, “God Bless America…and pass the ammunition” but if the preacher doesn’t stand up, who will? Lack of Morality in Personal Life Can Shut You Up. The second way that the preacher’s voice can be muted is a what we all a moral fall in the life of the preacher. When the preacher is stealing money or running women it can have the affect of muting the prophetic voice. Certainly there are some who still give the call even though their life betrays the message, but often times the voice of the preacher whose life is filled with immorality will be muted. People sometimes expect too much of the preacher, but it is right that they expect something from the preacher. We cannnot simply apply our messages to someone else and not to ourselves. If the message is to transform systems why can’t it transform us? If the message is to transform other folks out of their vices and problems, then why not us? If I might misquote the song made famous by Mahalia Jackson…It’s time for preachers to live the life they preach about in their sermons. Another way that the voice of the preacher is muted, according to Hicks, is on the issue of women in ministry. Preacher’s who preach liberation often forget to include women in that preaching. Preachers cannot simply preach the message of equality and justice at America while we allow it ourselves. Some women have to leave Black churches to find someone to acknowledge their ministerial gifts. Certainly it is changing and there are many Black churches that celebrate the gifts of women in ministry, but too many still hold America to a higher standard than they hold themselves. The preacher can’t be silent on allowing women to minister if the preacher is to sound the clarion call of justice. Will Money Shut You Up? Hicks also reminds us of the congregation using money to shut their preacher;s mouth. Too many churches want a preacher who is just gonna preach sermons about the money that they are going to get or the job that they will obtain becuase of God’s goodness. Too often the preacher who preaches against individual and corporate sin will be taking their job in their hands. Some congregations will be ready and willing to vote a preacher out if she or he “steps on toes.” But a preacher can’t allow the desires of the congregation to mute the gospel message. When we all get to heaven, the sinner will be happy that you reminded the sinner of sin. That may mean that some preachers will get fired, but the preacher has gotta preach. My homiletics professor said that the preacher should always have a “just in case” fund. Just in case you get fired, you have something to fall back on. The reason is becuase preaching the message of God will sometimes get the preacher into trouble. We cannot simply be quiet to keep our jobs. Often the people try to shut us up. 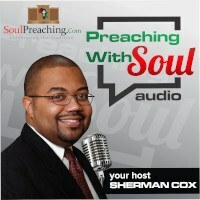 But we preachers must preach the message that God has called us to preach. In the last days, this message will go forth, and will transform those who are true of heart. Praise God that there are some preachers who will not allow the things delineated by Hicks to shut them up. Let us pray that we will be one of those preachers.